Zebra Pen offers a wide variety of mechanical pencils to help students write more effectively, with some added personality! 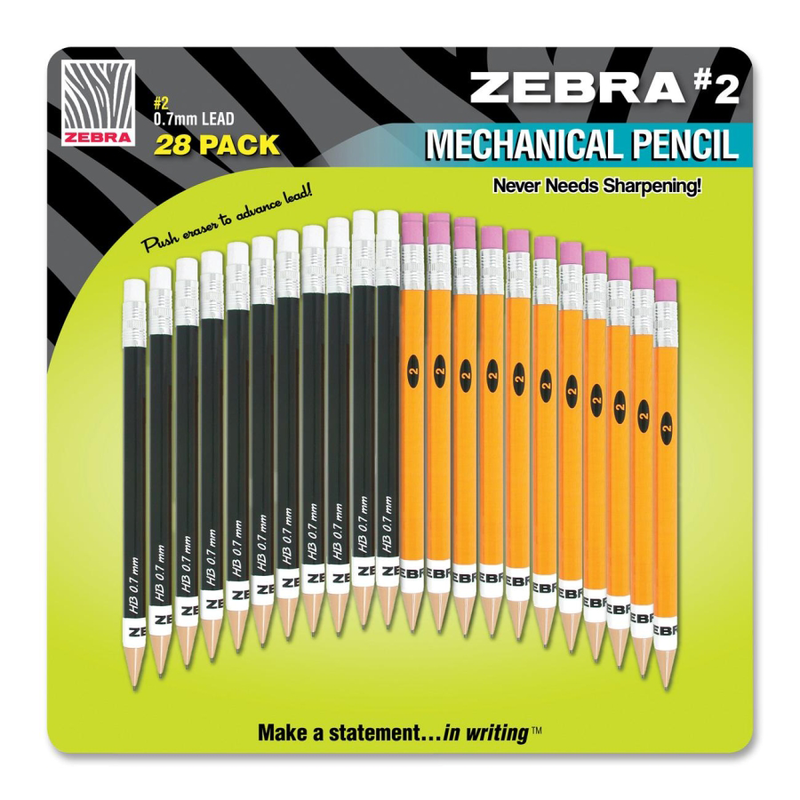 Learn the top reasons to use mechanical pencils and see for yourself some of Zebra’s most innovative and exciting school supplies, perfect for the first day of class! Give students the time they deserve to focus on their writing…with mechanical pencils there is no need to waste time sharpening them. You always have access to new and refreshed lead. Mechanical pencils are consistent in size versus traditional pens that get smaller, and smaller, as the amount of lead used increases. Refill lead and erasers with ease with a Zebra Pen mechanical pencil. There is no need to dispose of the pencil when the lead runs out: simply refill the lead and work can be continued. This can help save the amount of waste you’re disposing, reducing the carbon footprint of your classroom. Many mechanical pencils come with a comfort grip that allows for efficient writing. Students, in some cases, avoid using pencils because they cause discomfort. With the addition of mechanical pencils, you can encourage your students to write with no problem. 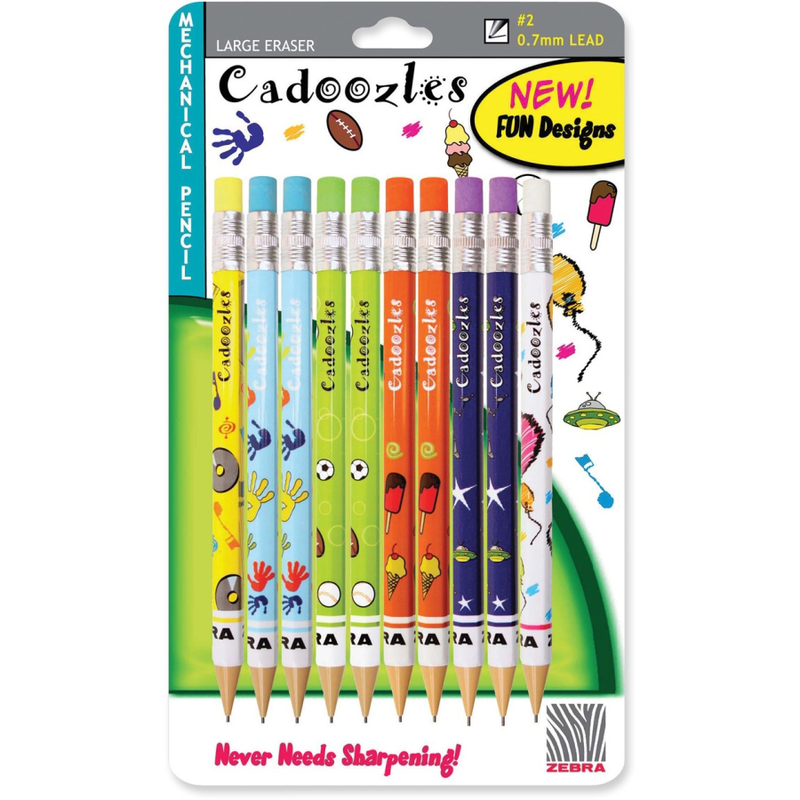 Ideal for young and creative writers, the Cadoozles mechanical pencils offer a medium point, comparable to a No. 2 pencil. Students can write away with this pencil that never requires sharpening. The large colorful eraser allows users to advance to lead. The barrel design, offers fun and exciting graphics to make students happy to return to school after a long summer vacation! 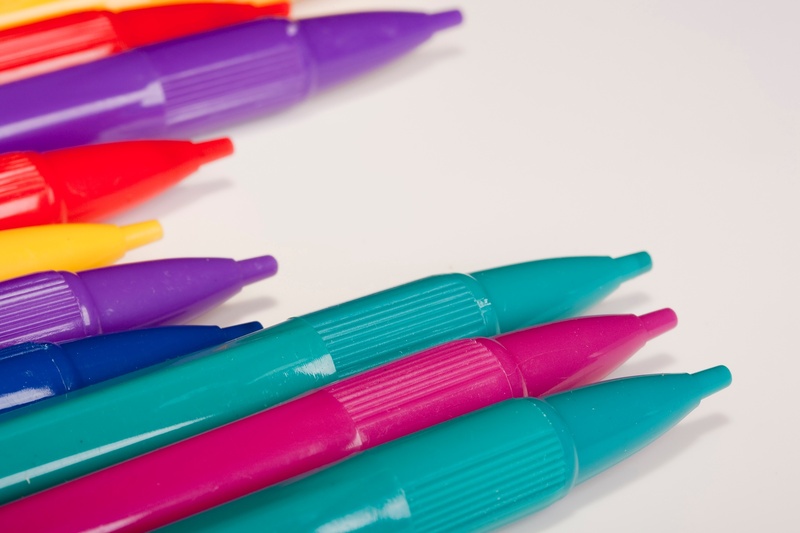 See the power of Zebra Pen Cadoozles Starters, perfect for new learners, with standard and 12 vibrant color choices. 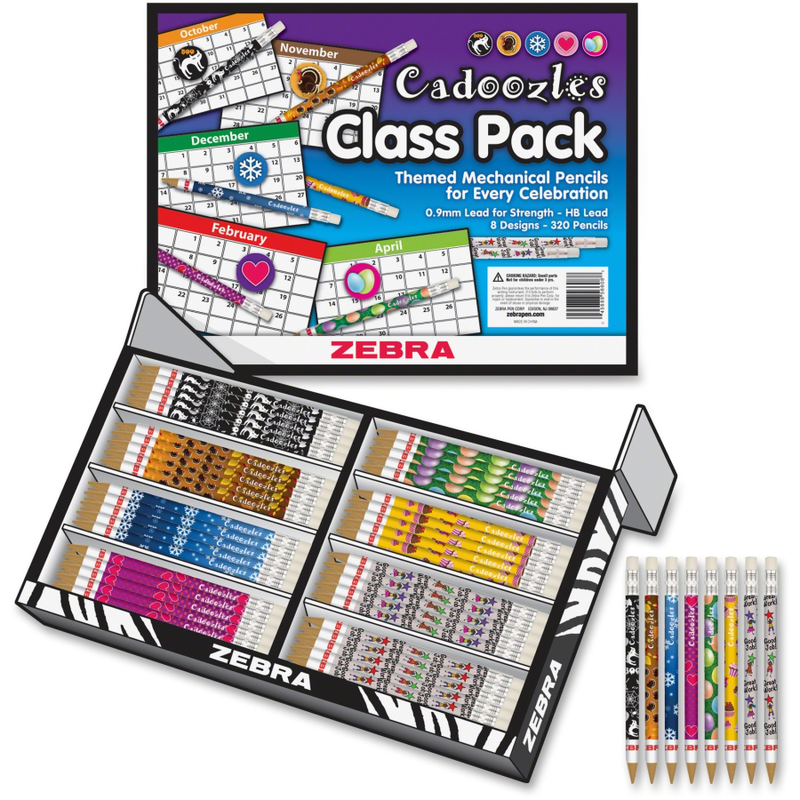 Perfect for the whole class, the Zebra Pen Cadoozles pack comes with 320, 0.9 mm lead diameter pencils. With 8 themed and vibrant designs, you will have a variety of different choices to celebrate each occasion to the fullest! Inspire to your students to write to the best of their abilities with these creative mechanical pencils! The Zebra #2 Mechanical pencil has some refinements, but stays true to the traditional writing utensil. The hexagonal barrel delivers students the feel of a classic pencil, while the large eraser doubles as a lead-advancing instrument. Students will be happy to take notes, makes lists, and take their tests when they have functional pencils. The package comes with 2 lead packs for each pencil. Choose from black or yellow, based on your personal preference.